Both helicopters and spy planes have a very serious weakness: they must be piloted by human beings; that is to say, human beings must be aboard them. And so, they cannot be lost with impunity; they cannot enter into or create toxic environments. One must avoid both the purely negative consequences of crashes (death and property destruction), but also the consequences that are positive for one's enemies (the taking of prisoners of war, hostages and other potential sources of sensitive information). And so, in order to maim and kill from a distance and without fear of being maimed or killed, the United States military has since 1964 spent billions of dollars researching and developing uninhabited (or "unmanned") aerial vehicles ("UAVs"). Because most of them can use the US military's system of satellites to communicate with their ground stations, these UAVs have mostly been used by the Air Force for reconnasissance and surveillance ("imagery intelligence") at very long ranges (between 50 and 3,000 nautical miles away). But they have also been used as combat aircraft, that is, as automated killers. Of particular interest are (1) the Global Hawk, made by Northrop Grumman, (2) the Predator, made by General Atomics, (3) the Cypher, made by Sikorsky, and (4) the Desert Hawk, made by Lockheed Martin. (1) Each Global Hawk costs $15 million to manufacture. This UAV is over 40 feet long, and thus requires a very large run-way for take-offs and landings. Controlled by a human operator, not an on-board computer, the Global Hawk can stay in the air for as long as 40 hours. In that time, and without stopping once to re-fuel, it can travel 3,000 miles to its target; focus upon a huge area (as many as 3,000 square miles) from as high up as 65,000 feet; use electro-optical, infra-red and Synthetic Aperture Radar (SAR) cameras to take pictures of the ground; use wireless technology or satellites to transmit those pictures in "real time"; and then return back to its homebase. The Global Hawk was first used by the Department of Defense to help NATO bombers spot potential targets in the 1998 war over Kosovo. (2) The Predator is quite similar to the Global Hawk: it also requires a human operator and a long run-way for take-offs and landings. But, at $4.5 million each, the 27-foot-long Predator is cheaper and smaller. As a result, it is worth the risk of being sighted and shot-down to fly a Predator at relatively low altitudes (25,000 feet and below). Predators were first deployed for reconnaissance and surveillance operations ("RQ-1") by the US military during the 1995 civil war in Bosnia. Predators were used far more extensively in the USA's assault against and occupation of Afghanistan in October 2001. Each Predator is equipped with a color nose camera (generally used by the aerial vehicle operator for flight control), a day variable aperture TV camera, a variable aperture infrared camera (for low light/night), and a synthetic aperture radar for looking through smoke, clouds or haze. 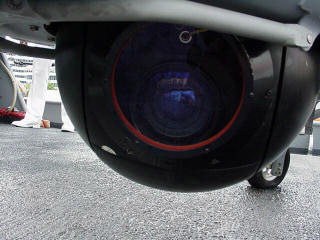 The cameras produce full motion video and the SAR still frame radar images. According to Coast Guard Lt. Cmdr. Troy Beshears, a UAV platform manager in Washington, D.C., a Predator's cameras "can read a 3 to 6-inch letter from 10,000 feet." 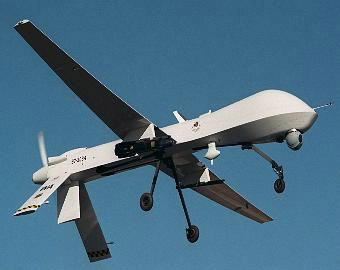 Predator "drones" can also be equipped with lasers, targeting systems, and a pair of "Hellfire" anti-tank missiles, and used in combat ("MQ-1"). It was in fact an armed Predator that the Central Intelligence Agency -- working by remote-control from its headquarters in Langley, Virginia -- used on 3 November 2002 to assassinate Qaed Salim Sinan al-Harethi, an alleged member of Al Qaeda, and five other men (one, Kamal Derwish, a US citizen), as they traveled in a car on a road in Yemen. Al-Harethi was suspected of being responsible for the attack on the USS Cole, as well as the recent attack on a French oil tanker off the Yemeni coast. And yet the US military didn't use Predators in its March 2003 assault against and occupation of Iraq. The reason was clear: too many of the damn things -- as many as 12 percent of them, according to one estimate -- had crashed in Afghanistan due to bad weather conditions and other "technical" problems. In addition to wasting money, these little-publicized crashes made great trophies. 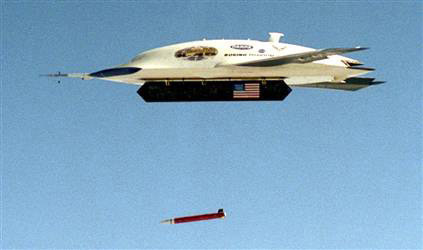 But these facts shouldn't have come as surprises to the Department of Defense, which had already been informed by Thomas P. Christie, the director of the Pentagon's Operational Test and Evaluation Office, that, "As tested, the Predator UAV system is not operationally effective or suitable [...] Poor target location accuracy, ineffective communications, and limits imposed by relatively benign weather, including rain, negatively impact missions such as strike support, combat search and rescue, area search, and continuous coverage." In place of Predators, the US military forces in Iraq used AAI's Shadow 200, which cost $300,000 each. Much smaller than Predators, the 11-foot-long Shadows don't require run-ways to take-off and land. Like helicopters, they only require clearance space above them. And yet Shadows can still send live feeds from their video and infrared cameras over distances of 77 miles. Another "Unmanned Combat Air Vehicle" or UCAV is the X-45, manufactured by Boeing ($10 million each) and capable of launching precision-guided weapons. (3) The Cypher is relatively small. Some "mini-Cyphers" are only 8 feet tall and 3 feet wide, and weigh only 30 pounds, which allow it to enter buildings as well as hover above or land on top of them. (Other UAVs, such as MLB's truck-launched UAV, can be even smaller.) But the uniqueness of the Cypher isn't simply a matter of its small size and maneouverabiliy. Unlike the Global Hawk and the Predator, the Cypher flies itself. A fully automated uninhabited spy plane, it simply needs to know where to go to find its targets. Once given this information, the Cypher can launch itself (veritically, like a helicopter); can use the military's network of Global Positioning Satellites (GPS) to find out where its launch has placed it; and can use a variety of on-board cameras to "see" where it needs to go. Internal computer programs will also tell the Cypher when it has arrived, what to do, and when to return to homebase. Onboard each Cypher are video cameras, Forward-Looking Infra-Red (FLIR) cameras, chemical detectors, magnometers, radio and satellite links, microphones to relay pre-recorded announcements, and so-called non-lethal payloads (tear gas and/or smoke cannisters, steel spikes to puncture tires or printed propaganda). As one can see from this "mixed" payload, the Cypher is very different from both the Global Hawk and the Predator. It isn't primarily designed to be used as a spy plane (or as an automated assassin) in wars against heavily armed combatants, though it can serve quite well in such instances. The Cypher's real usefulness is in what the US military calls "operations other than war," that is to say, in domestic police actions or enforcements of the law against civilian non-combatants one wants to disperse or arrest, but not murder in cold blood. (4) The Desert Hawk is truly tiny. 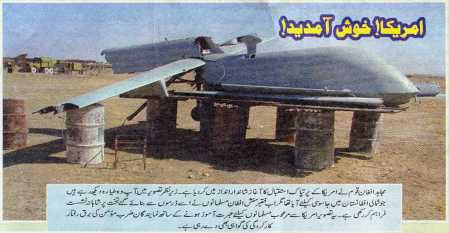 Manufactured by Lockheed Martin, it's less than 3-feet-long and, according to a 6 March 2004 report by Jim Skeen of the Daily News, it's being used by the US military in both Iraq and Afghanistan. Palmdale Calif. - A tiny spy plane developed by Lockheed Martin engineers in Palmdale is doing sentry duty around U.S. air bases in Iraq and Afghanistan. Weighing seven pounds and looking like something out of a hobby shop, Desert Hawk controls itself without human guidance and carries video cameras and infrared sensors that allow security personnel to scout outside bases without exposing themselves to danger. "A key factor of our system is it's fully autonomous. You don't have to have a guy standing there with a joy stick," said David Eichstedt, Lockheed Martin's project manager. A product of Lockheed Martin Aeronautics Co./Palmdale, the craft is formally known as the Force Protection Airborne Surveillance System, or FPASS. It was nicknamed "Desert Hawk" by the general in charge of air forces in the Middle East. The Desert Hawk is just 32 inches long and has a wingspan of 52 inches, powered by an electric motor and able to fly for an hour to 75 minutes at a time. 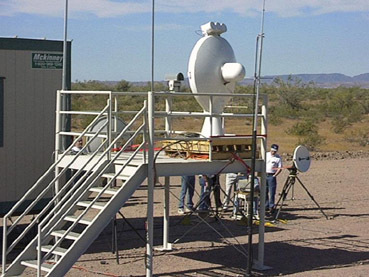 It is operated in a system that each includes six Desert Hawks, a ground station and a remote viewing terminal, plus a field kit for repairs. While the Desert Hawk looks like a remote-controlled model plane, it is much more sophisticated. Its missions are programmed in advance using a touch-screen interface on a laptop computer. A mission can be changed while the aircraft is in flight. The aircraft lands by itself, without guidance from its human operators. Rather than taking off from a runway, the aircraft are launched into the air with a bungee cord that can stretch out to 150 feet. "It can fling it up 200 feet in short order," Eichstedt [of Lockheed Martin] said. The Defense Department is looking at expanding the use of Desert Hawk by placing unmanned air vehicles and their operators with Army Special Operations forces. Four systems have been delivered to the British Army. For now, Lockheed Martin is focused on military uses of the Desert Hawk. Federal Aviation Administration regulations block unmanned air vehicles from using the national air space [hic], making civilian applications problematic. NASA and the aviation industry are embarking on an effort to determine what regulations and what advancements in unmanned air vehicle technologies are needed to allow aircraft like Desert Hawk as well as larger unmanned craft to routinely use the national air space. 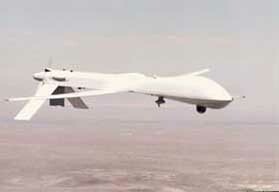 Resolving those issues will open up the national air space for civilian applications of UAVs. "You can think of all kinds of cool things to do with UAVs -- look for forest fires, search and rescue missions, monitoring aqueducts and pipelines," Eichstedt said. The Desert Hawk's roots go back to 1996 when Lockheed Martin was conducting research and development under a program called Micro Air Vehicle for the Defense Advanced Research Projects Agency. 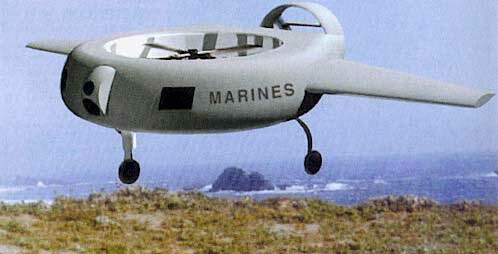 At the time, DARPA was interested in the idea of developing a UAV that was no more than 6 inches long. Out of that work came development of autopilot and communications technologies that would serve as the backbone of Desert Hawk. In February 2002, as the Afghanistan campaign was well under way, Lockheed Martin entered into a contract with the Air Force to begin providing the Desert Hawk systems. The first two systems were delivered four months later. The Air Force was so pleased with the system that it nominated Desert Hawk for the 2002 Collier Trophy, the aviation world's equivalent of an Academy Award. While it did not win the Collier, the Air Force's nomination was high praise. Employment numbers on the program were not disclosed, but company spokeswoman Dianne Knippel said the Desert Hawk is not a large employment project. The Desert Hawk is in use in both Iraq and Afghanistan, but Lockheed Martin officials would not comment on how many have been deployed [or lost]. UAVs are tremendously flexible devices, and can be used for a variety of purposes that have nothing to do with war, killing, mass arrests or crowd-dispersal. For example, they can be used to provide entertaining videotaped scenes to movie-makers, news reporters and the tourism industry; to search for and rescue people in perilous locations or circumstances (collapses, spills and fires); and to monitor or deliver mail to important installations in either highly sensitive locations (borders, ports and power-plants) or remote or uninhabitable places (polar zones, deserts and off-shore oil rigs). One often hears about the use of UAVs in "the war on terrorism" and "homeland security." For example, on 11 November 2002, the Newhouse News Service reported that "Pilotless Planes' Latest Target May Be Homeland Security," that is, "[i]f concerns about their safety and reliability can be resolved." Good point, but there is another "concern" that must be addressed before UAVs can been used over the USA: the Federal Aviation Administration has to approve their use in commercial flight zones, which is something it hasn't done yet, and isn't likely to do due to the still-unresolved problem of crashes. 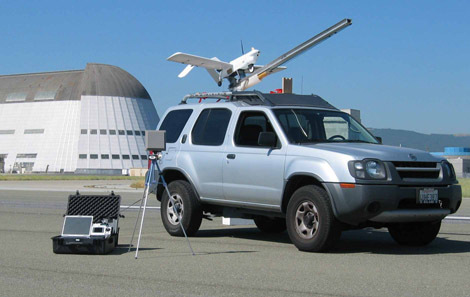 On 26 November 2002, The Gaithersburg News reported that UAVs can be used to gather photographs and videotape for use in Lockheed Martin's Geographic Information System (GIS), which displays large quantities of detailed information in the form of digital maps, which in turn can be used to make quick and well-chosen responses to emergencies (such as terrorist attacks). But there are still significant technical problems. At the demonstration at Lockheed Martin's plant in Gaithersburg, there was in the words of the reporter "a planned demonstration" that literally "never got off the ground" (most unfortunate, because this particular demonstration concerned the actual merging of UAV and GIS technologies! ), and "another demonstration" that was cancelled due to "weather and technical glitches." On 23 July 2003, The Herald Sun reported that the Australian military would soon start using UAVs to track "rebels" and "gangs of thugs" on the Solomon Islands. "Once located," the story says, "targets can be kept under surveillance, filmed and photographed day and night." But these one-meter-long UAVs will not use on-board transmitters. Instead, "film and photographs will be flown back to base, probably at Honiara airport, where they will be analysed by military experts and defence scientists and used to help plan operations." And so, while they are "more secure" to the extent they aren't sending out transmissions that the rebels can intercept, these UAVs will more likely be targets for ground-to-air attacks: bring one down and you've destroyed both the UAV itself and any images it took.